Classic yet contemporary, eclectic but cool, the Loft Collection combines Mid-Century Modern styling with an eye-catching Potters Clay finish. The bold design scheme is just what modern parents have been searching for to achieve the unforgettable nursery of their dreams. 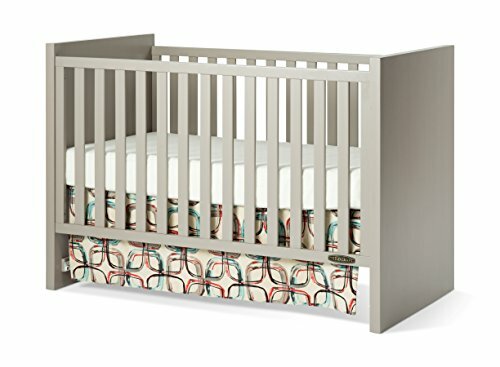 The 3-in-1 traditional crib grows with your child by converting into a crib, toddler bed, and day bed. Quality construction will last for years. Strong metal mattress support adjusts to two heights. Coordinating toddler guard rail available (sold separately).